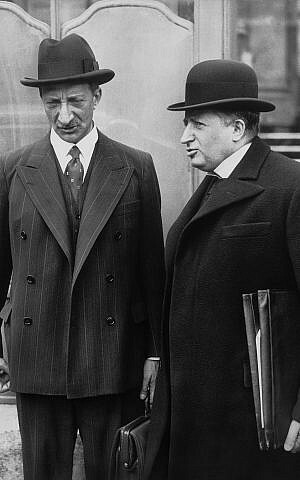 BERLIN — Germany on Tuesday returned a painting looted by the Nazis to the heirs of French Jewish politician and resistance leader Georges Mandel. 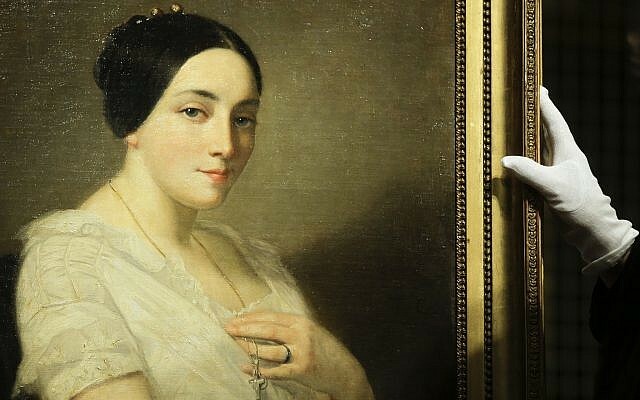 The portrait of a seated woman by 19th century French painter Thomas Couture had been on display in a spectacular collection hoarded by Cornelius Gurlitt, the son of a Nazi-era art dealer. 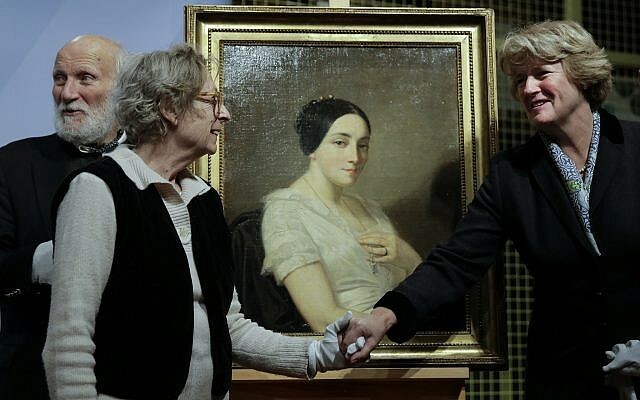 German Culture Minister Monika Gruetters presented the work to family members of Mandel, executed by French fascists near Paris in 1944, in a ceremony at the Martin Gropius Bau museum in Berlin. Experts determined two years ago that the painting had been looted from Mandel, relying on a small hole in the canvas as evidence of its provenance. Mandel’s lover had cited the hole above the seated woman’s torso when she reported the painting stolen after the war. Gruetters was joined in the ceremony by a representative of the Kunstmuseum Bern, which inherited Gurlitt’s collection when he died in 2014, and an envoy from the French embassy. About 450 pieces from the collection by masters such as Monet, Gauguin, Renoir, and Picasso have been on display in Bern, the western German city of Bonn, and in Berlin. Gruetters called the Couture painting’s return “a moving conclusion to the exhibitions of the Gurlitt trove” and underlined Berlin’s commitment to provenance research. “We have Georges Mandel’s family to thank that we could show this work in all three exhibitions,” she said. More than 1,500 works were discovered in 2012 in the possession of Munich pensioner Cornelius Gurlitt. His father, Hildebrand Gurlitt, had worked as an art dealer for the Nazis since 1938. The discovery of the stash made headlines around the world and revived an emotional debate about how thoroughly post-war Germany had dealt with art plundered by the Nazi regime. When Gurlitt died, the Berlin museum accepted the collection, though it left about 500 works in Germany for a government task force to research their often murky origins. But determining their provenance has been slow, and it is still not clear how many of the works were stolen. The Couture portrait was the fifth work from the collection returned to heirs, and the sixth definitively classed as having been looted by the Nazis.